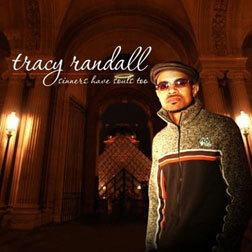 Tracy Randall is all over the music biz. The talented singer, fresh off the success of his debut Gospel album, “Sinners Have Souls Too,” can hyphenate his way through producer, composer and writer onto manager, agent and attorney. With so many talents, Randall is an extraordinarily busy man. 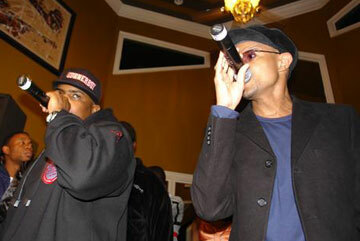 ChristianMusic.com finally caught up with him in Jackson, Mississippi, where he was finishing some tracks for his next Gospel album, GANGSTAHS FOR JESUS, at the studios of his partners, Corner Boyz Worldwide, before he had to catch a plane back to his home in New York City. Randall grew up singing. “My mother would play Gladys Knight, Aretha Franklin, Mahalia Jackson, and I would mimic their voices. Especially Aretha Franklin,” Randall reveals. Randall avoided the church choir so as not to suffer from the perception of his peers, he says, and when he left Lake Charles, Louisiana, for LeMoyne-Owen College in Memphis, having graduated at 16, he decided to pursue an engineering degree. But, he says, “math and the sciences bored me. They were too constraining. No flexibility or anything.” He switched his pursuit to business and graduated in three years. He parlayed his musical and business abilities into a contract with T-Neck Records/Island Black Music as a performer, but he wasn’t happy with various mergers and shifting of labels. So, Randall went back to UCLA to get his PhD in International Business and Marketing and a law degree, all-in-one. He then returned to the business side of the music business. “One day I went home and there was a ‘No Smoking’ sign on our door. My mom smoked her whole life. I remember, she started praying and reading her Bible, and the desire to smoke and drink left her,” says Randall. “That’s how I knew that God existed. Prayer does work if you just keep at it." 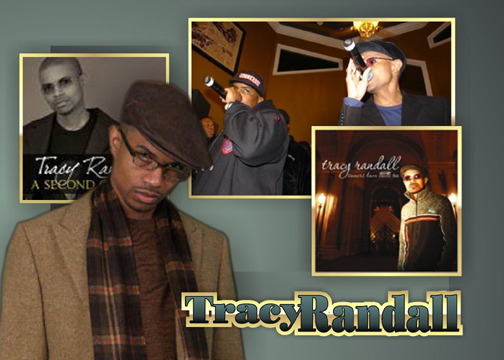 Randall’s management company now handles an array of artists including hip-hop singers, songwriters and producers. He uses his business degrees to help some of the artists with their finances, setting up business plans for them. He also uses his law degree in negotiating contracts. But the greatest service he gives to many of the musicians is his example. “Some of the other artists are becoming more Christian. No more clubbing and drinking and such. They see that I’m happier.” And, of course, that example comes through most clearly in his music.